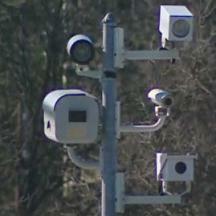 Red Light Camera Company Redflex has reached a settlement in a bribery case with the US Department of Justice. Under the terms of the agreement, Redflex must pay the city of Columbus Ohio a fine of $100,000 and whatever amount a Chicago judge decides, where Redflex is facing a $382 million suit. Redflex must also cooperate with the Justice Department in any investigation into Redflex activities in Arizona, California, Colorado, Florida, Georgia, Massachusetts, New Jersey, New Mexico, Tennessee, Virginia, where the company's former executive vice president admitted he bribed public officials. Redflex must also cooperate with Australian authorities investigating the company's activities. By agreeing to the deal, Redflex avoids being criminally prosecuted for bribery actions in Chicago and Columbus. The bribery case had already resulted in criminal prosecutions. Former Redflex CEO Karen Finley was convicted for bribes paid to elected officials in an attempt to win or expand contracts with Chicago and Columbus. Finley was sentenced to 30 months in jail, but won a reprieve after claiming she was suffering from medial issues. The investigations also resulted in the convictions of John Bills, a former Chicago assistant transportation commissioner, who was convicted of accepting cash and benefits from Redflex. Lobbyist John Raphael plead guilty to extorting cash from Redflex to pass on as bribes to elected officials in Ohio.